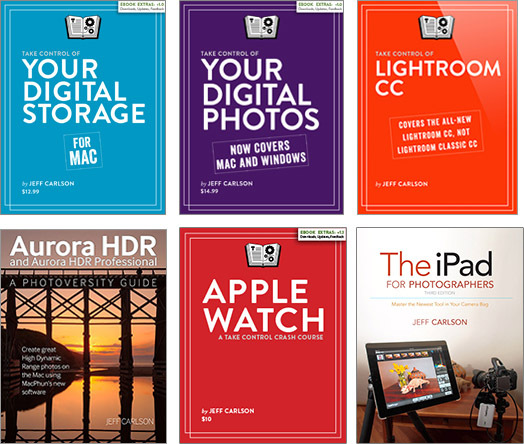 Coinciding with the presentation, Peachpit has named the new, iPad for Photographers Third Edition its Ebook of the Week, pricing it at just $9.99 (50% off)! 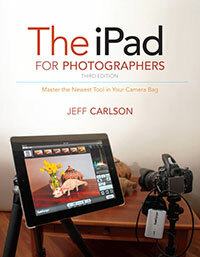 That includes PDF, EPUB, and Mobi (Kindle) formats—perfect to have as a reference on your iPad during photo excursions. Not sure if the book is for you (or for someone who’d enjoy it as a gift)? Peachpit also put up a free chapter to sample. I purchased the 2nd edition just weeks before the 3rd edition was published. Disappointed! Where did you purchase the 2nd edition? I would guess you can return it and get the new one. I purchased it at Photoshop World in the PeachPit bookstore there.